Premier dental care by EXCLUSIVE DENTISTS WORLDWIDE. Dental implants are a great way to replace missing teeth and also provide a solution to having removable partial or complete dentures. Dental implants are artificial roots and teeth that are surgically positioned into the upper or lower jaw bone by your dentist or a Periodontist — a high-quality professional dedicated to gums and the supporting bone. 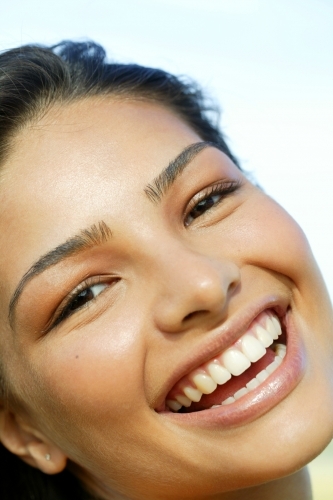 The teeth attached to implants are very natural looking and can visually enhance or restore a patient’s smile. The implants are very durable and will last many years, but on occasion, they will have to be re-tightened or replaced due to normal wear. The cost of dental implants can be prohibitively high if patients have treatment in the US, UK or Canada. One dental implant can cost as much as $4000 USD and to replace a full set of missing teeth can exceed $40,000 USD. Many patients find that travelling abroad for dental treatment can save up to 70% on dental treatments. Root-form dental implants which are screwed into the jawbone. Implants secured into the jawbone extending horizontally along the bone. Secured to the surface of the jawbone instead of being secured inside. Dental x-rays and impressions are taken of the jaw and teeth to determine bone, gum tissue, and spacing available for your dental implant. While the area is numb, the implant is located into the bone, which will heal and incorporate itself onto the bone for up to six months. Depending on the type of implant, a second surgery may be required in order to secure the artificial tooth in place. Some types of implants contain a post and anchor that is already attached and your dentist is able to secure the tooth on the first visit. After several weeks of healing the artificial teeth are made and fitted, which can take one to two months to complete.